There is no stopping Vidya Balan! With a perfect success rate in the industry packed, topped with some of the most impactful performances in the last decade, winning hearts, earning accolades, sweeping awards (even scoring a hat trick), becoming a CBFC board member and more; the actress is clearly one of Bollywood’s finest, most talented gems. Close to twelve years after her debut as the charming Lalita in Parineeta, Balan continues to dominate as one of B-town’s leading ladies, as film makers continue to line up with author backed roles for the vivacious actress. This time, Balan is all set to charm the audience as Sulochana in a fun, slice of life film titled - Tumhari Sulu, where she will be seen multitasking as a home maker and a late night show RJ. 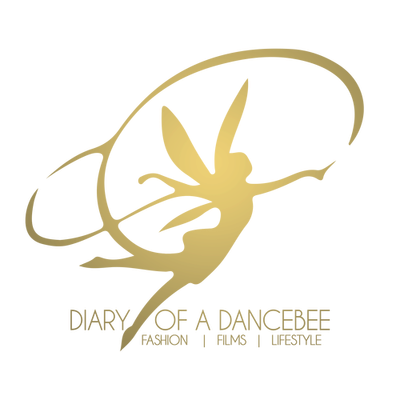 As the film gets ready to hit the screens tomorrow, the vivacious actress spoke about her character and discusses cinema, life and more in an exclusive chat with Diary of a Dancebee. What was that one trait or element of your character - Sulu, that stood out for you? The very fact that she is a complete enthu-cutlet. That’s the perfect way to describe her! She is full of life, fun and is always ready for challenges that come her way. Just like Sulu, do you think women today are more open to experimenting with their professional choices, as compared to the time when you started off or were still in college? Absolutely! They are definitely open to experimenting with their career choices and even multitasking a lot more. But, while women today have more opportunities, there is also a lot more pressure and responsibility. That doesn’t mean women back then didn’t have any of it. However, the hectic lifestyle today has changed a lot of things around us. Everything around is so quick and fast paced. Today, most women spend hours traveling from home to work and back. They also have personal commitments and responsibilities to look after. So, while the scope is much better, the pressure has also increased. Personally, how do you maintain a fine balance between both personal and professional life? Honestly, I don’t think I am good at maintaining a fine balance (smiles). I don’t multitask much, when compared to women who travel for hours, work for long and also run their homes successfully. That’s one reason why I think the term ‘housewife’ should be replaced by ‘home maker’. She is the one who truly brings the home together. It’s not an easy task! I remember that while traveling by local trains during my time as a student at St.Xavier’s College, I used to see women cutting vegetables on their way back. They would carry small zip pouches with some pieces of vegetables, cut them and place everything back in separate pouches again. Being in a position where I don’t have to cook, buy groceries or perform some of the tasks that home makers have to do every day, since my house help takes care of it, makes me feel that I am not really multitasking in anyway. At least, not when compared to the women who spend hours maintaining a balance between their personal and professional commitments, with all the pressure around. Hats off to them! Professionally, was there any point in your life where you wanted to take up something else, other than acting? I don’t think I could ever do anything apart from acting. I never thought of any alternate career. As cliched as it may sound, but I have always wanted to become an actor (smiles). What is your earliest memory of cinema and watching movies while growing up? You know, I wasn't really into watching a lot of movies when I was a kid. We didn’t make frequent trips to the cinema hall as such. The only time we used to watch something would be on Doordarshan, when they played Hindi films around Sunday evening. My mom introduced me to regional films, which were also played on Doordarshan during the weekend. My first exposure to world cinema was in college. I remember, MAMI - Mumbai Film Festival had just started off and they were looking for volunteers. I excitedly signed up for it, and was assigned the task of announcing the film name with details before every screening. That was my first tryst with world cinema. I was mesmerised by the enchanting world of movies, and felt lucky to witness some exceptionally crafted films from Iran, Europe, Japan, France among others. From then, there was no looking back and I fell in love with cinema forever. What has been the most special takeaway for you from any of the characters that you have essayed so far? It’s interesting how every character that I have essayed on screen has been so different from the other, and each of them have had traits that are so unique. Again, it would be difficult for me to make a single choice, because all of them have left an impact that will stay with me for long. From among the recent ones, let’s take Sulu as an example. She is a complete go-getter. Her response to everything would be “Main Karegi.” That kind of confidence is very hard to find. It is very inspiring and encouraging. Definitely a special takeaway for me! What according to you was a career defining moment or perhaps, a turning point in your life as an artist? It would be very difficult to choose just one. There have been so many important moments, that have not only got me awards, acclaim and recognition, but also helped me become what I am today. Right from bagging a film like Parineeta as a debutant to essaying a challenging character like Monjolika in Bhool Bhulaiyaa and working in a film like The Dirty Picture; all of them contributed in some way or the other. I feel among my early films, Bhool Bhulaiyaa was extremely important. Another film was Ishqiya. I ventured into a completely new space and it gave me immense creative satisfaction as an artist. So, there has always been a lot to learn and be thankful for. As of now, there is nothing. I am in talks and have also heard a few ideas. Hopefully, something new for 2018 shall come up soon. What do you have to say to your fans, especially the 'VB' family on social media? They are the sweetest, aren't they? Thank you for all the love. You guys are way too sweet.